Angela Merkel has called for the creation of a “real, true” EU army, days after stating that only through globalism and ‘United Nations values’ can there be peace in the world. “What is really important, if we look at the developments of the past year, is that we have to work on a vision of one day creating a real, true European army,” stated the German chancellor during an address at the European Parliament in Strasbourg Tuesday. 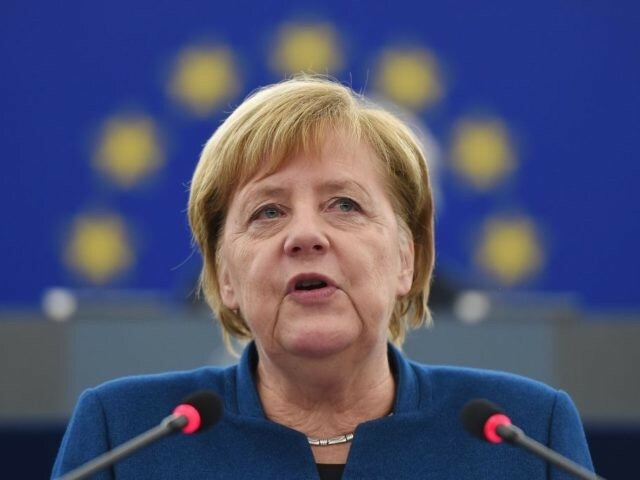 Speaking at a debate on the future of the bloc, Merkel told MEPs that the move — which was urged by globalist French President Emmanuel Macron last week — “would show the world that there will never be war again between European countries”. Declaring “nationalism … must never have a chance to flourish again in Europe”, the chancellor also used her address to call for an EU superstate with “tolerance” at its centre, stressing that Brussels should seize control of the bloc’s external frontiers and impose a common asylum policy on member states. “We need to understand that tolerance is the soul of Europe [and] that it is [the] essential component of what makes us Europeans,” said Merkel, before making it clear that tolerance would not extend to allowing member states whose populations elected populist governments to maintain national sovereignty over issues that mean a lot to their electorates. “Solidarity is based on tolerance and this is Europe’s strength. It is part of our common European DNA and it means overcoming national egoisms,” she continued, going on to launch a thinly-veiled attack on Poland, Hungary, and Italy. The veteran German leader’s call for an EU army came just days after the Paris Peace Forum, where Merkel hit out at “blinkered nationalism” and asserted that only through globalism and ‘shared [United Nations] values’ can the world “overcome the horrors of the past and pave a new future”.